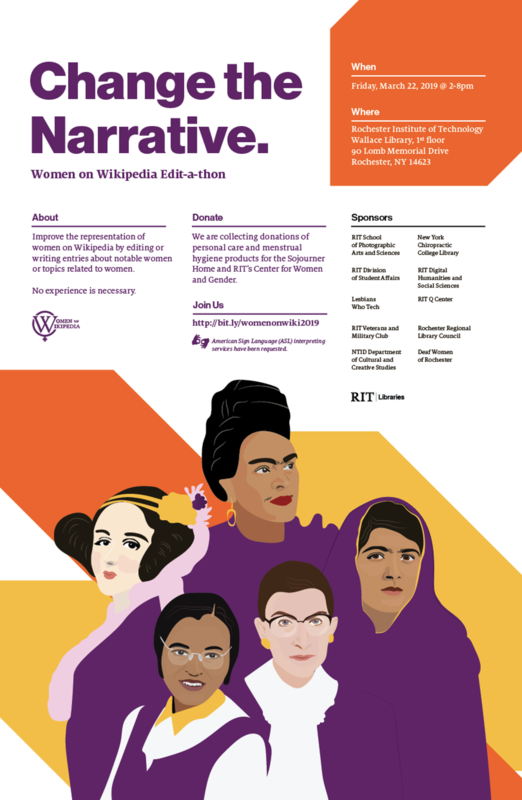 Just 16% of biographies on English-language Wikipedia are about women, and women on Wikipedia are more likely to be described by their relationships than their accomplishments. Participants can improve the representation of women on Wikipedia by editing or writing entries about notable women or topics related to women. No experience is necessary. People of all gender identities and expressions are welcome.